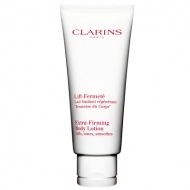 Protects the fragile area of the neckline. 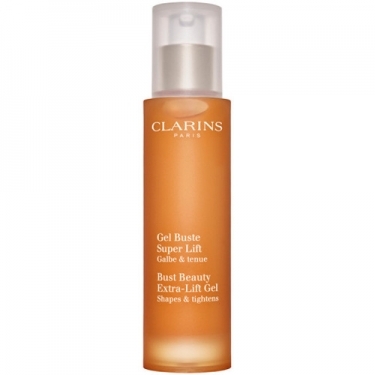 DESCRIPTION: Gel Buste Super Lift from Clarins is a cooling gel for the bust that exerts an immediate lifting action to visibly reshape the breasts. 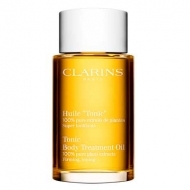 Stimulates collagen to strengthen, tone and smooth, favoring lasting firmness of the breasts and improving results throughout the applications. Oats polyses form an invisible natural bra, which enhances the breasts and shapes the curves. 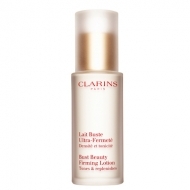 Apply the care to the bust preferably in the morning, to take advantage of its tensor effect, through broad upward movements from the base of the breasts to the chin. Fresh and non-sticky, it allows you to dress immediately.